We're not FBI profilers. We don't know why some athletes turn into hardened criminals, but we're guessing it has something to do with being young millionaires equipped with an army of enablers and tons of free time. Sounds like a recipe for disaster to us and, simultaneously, like a pretty awesome lifestyle. Most athletes do amazing things with the opportunities a career in sports offers. Some blow their career earnings and a few ruin their lives. What happens when you combine millions of dollars, heroic status, and the financial means to hire a powerful attorney? 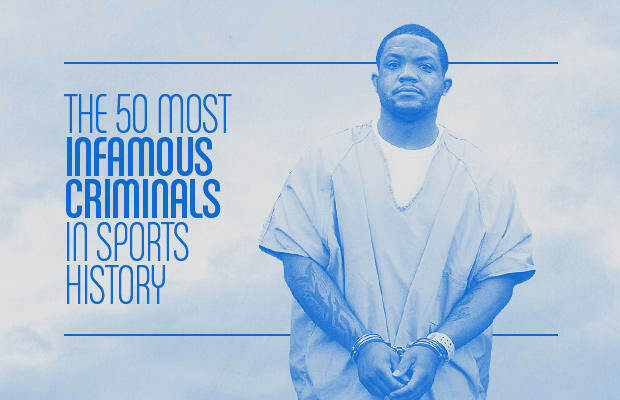 You get The 50 Most Infamous Criminals in Sports History.